Geocraft Mod is a mod which is designed to improve lots of things about geology, from ores to new kinds of stone. There are three forms of stone (marble on top, basalt in the middle and limestone on the bottom). All of them are shown in the picture above. Geocraft: AKA Better Ore Distribution 3! Geocraft changes the way that Minecraft generates it’s ores, allowing for actual mines. I took a lot of the ideas of the Better Ore Distribution mod by Marcopolo1613 and put my own spin on in for Geocraft. Instead of ores being generated in every single chunk, Geocraft will give each type of ore a chance to generate a ?mine?. Each mine will then generate the veins that you see in normal minecraft. This means that ore will be concentrated in certain locations rather than spread out evenly like in Vanilla. Right now the defaults are fairly light, but by going into the configs you can make ores much rarer and make the mines much larger. Level 1 configs effect ALL ores, they are. rarityModifier ? Changes the rarities of ALL ores. It is a multiplier. Larger numbers mean further apart , smaller means closer together. volumeModifier ? Changes the number of veins in each mine for ALL ores. It is a multiplier. Larger numbers mean more ore, smaller means less. genTrace ? Setting this to false will disable the creation of all trace mines. mineRarity ? Probability of ores being generated in a chunk, larger number mean less likely, as it is 1 / mineRarity. 10 means that there is a 1/10 chance of a mine being created in each chunk. 50 is a 1/50 chance and 1 means it will make a mine in every chunk. Changing this for the stone/soil mines and trace mines will have no effect. They always generate in every chunk. mineSize ? Roughly, it’s the number of veins to create, although that’s not always true. What is certain is that larger numbers mean more ore in a mine and smaller means less. Setting anything to zero disables it. Geocraft uses special code, called a hook, to prevent Minecraft from making any ores the normal way. Instead, Geocraft will collect data about these ores and save them for later, when it will use the data it collected to create new rarity and density values. By default, Geocraft will make mines ten times more rare, but have ten times more ore.
Once Geocraft has encountered a new ore for the first time, it will then generate it in it’s own way. Geocraft does not create it’s ores at the same time as the rest of the world. Big mines would take too long and cause too much lag, so instead Geocraft will create the mines more slowly over time. This does mean that if you travel faster than you computer can handle, you can outpace Geocraft and reach a part where it hasn’t generated yet. This is especially true for new worlds or dimensions. If you do come across an area with absolutely no ores, stone or soils, don’t panic. Just wait a minute or so for Geocraft to catch up, and be grateful that it didn’t cause a lag-spike-of-death trying to make all that at once. When Geocraft reaches your area, it will generate all the ores in one chunk almost instantly; if you blink, you’ll miss it. Geocraft has a config option called generationRate. By default, it is set to 1. Setting this number larger will cause Geocraft to generate terrain faster. This will cause more lag, but for less time. Setting it smaller will cause less lag, but over a longer time. If the lag cause by Geocraft bothers you, try adjusting this value accordingly. Geocraft should work in all dimensions, including mod added ones and Mystcraft ages. Geocraft uses the Ore Dictionary to allow any ores that can generate in stone to also generate in any other blocks registered as stone. Geocraft also uses the Ore Dictionary on the ores it generates, and will only allow one type of each ore generate. This means that if you have IC2, Forestry, Thermal Expansion, and any other mod that adds copper and tin ore, Geocraft will only allow ONE type of copper and one type of tin to spawn. You don’t have to manually turn them off. Geocraft also has default values for all vanilla ores, as well as Copper, Tin, Silver and Lead. Not all mods use the vanilla method of ore generation. As such, these mods may not be caught by Geocraft and will not be effected, generating as they normally would. If there is a mod which does this that you feel SHOULD be caught by Geocraft, you can either contact that mod author and ask them to implement my API, or leave a ticket here and someone will consider making special code to handle it. Geocraft is currently known to work with the following mods. There are three types of stone that Geocraft generates. They form in veins just like dirt and gravel. At the moment, they are used only in decoration, and they are also in the Ore dictionary so they can be used interchangeably with cobblestone and smooth stone. How do I get all the different variants of them? Each kind is the same, so we’ll use marble as an example. Marble is found in world. When mined, Marble will drop Marble Cobble. 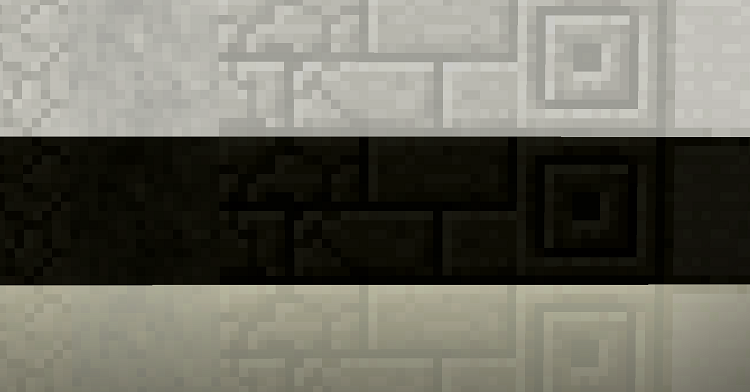 Marble Cobble can be smelted back into Marble. Four Marble in a box craft Marble Bricks. When Marble Bricks are mined they will drop Cracked Marble Bricks. Cracked Marble Bricks can be smelted back into Marble. Carved Marble Bricks can be smelted back into Marble. Nine Marble craft nine Marble Pavingstones. Marble Pavingstones can be smelted back into Marble.